I’ve been on a sushi kick lately. It came out of nowhere, and anyone who knows me knows I go through phases of loving a certain food, eating it nonstop for about two weeks and then getting sick of it and not eating it again for a year or more. But it looks like my sushi obsession is here to stay. Grocery store sushi isn’t super common in France, and if I can find it, it’s not always good. Flash forward to a few weeks ago when I was strolling past the fish section of my local Super U, and to my surprise, I came across a new-to-me brand of sushi from Natsu Foods. I bought two packs of it and LOVED IT. When I finished my last piece, I was curious and went to Natsu Foods’ website. I found out they make more than just sushi including all kinds of healthy salads, lunch pots and more. 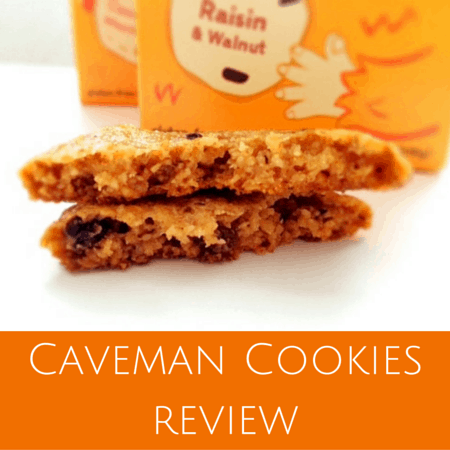 So over the past couple of weeks, I’ve happily sampled a variety of Natsu products and am sharing my thoughts here. If I find something I really like, you know I’ll be sharing it with you so that’s exactly what I’m doing today. I’m a sucker for nice packaging and that’s what originally caught my eye about Natsu Foods’ products. First up, let me tell you about the company. Founded by Tim and Tom, two brothers from Neuss, Germany, Natsu’s website explains that the company is committed to using the best possible products meaning no-GMOs whenever possible. 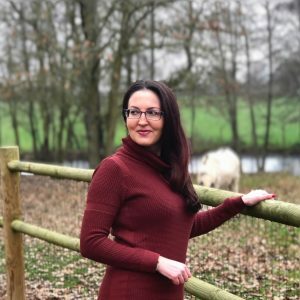 They’re all about fresh food free of chemical additives and working toward a responsible and sustainable trade with regard to the environment and society. 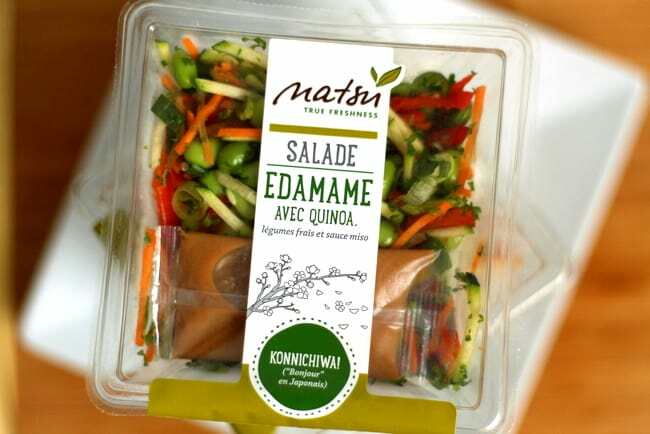 Natsu products are available at 2,500 supermarkets in Germany with deliveries every other day, and the company works 7 days a week to ensure products’ freshness. 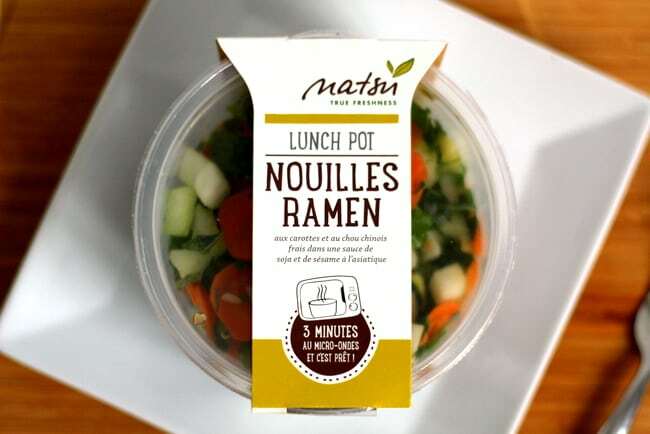 And lucky for me as I’ve discovered, Natsu Foods has made their way to France as well (store finder here here). Cool fact? That pretty packaging I mentioned above. 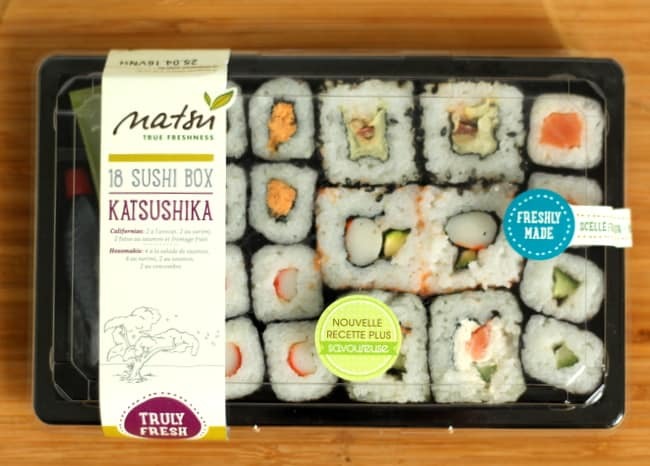 In a commitment to the environment as of October 2014, Natsu updated their sushi assortment and only uses paper bands made of sugar cane fibers so no trees are killed to make the paper for the packaging. It’s stuff like that that makes me feel good about spending my money. OK, let’s get to the food. Natsu is all about freshness and nothing I bought disappointed me. Everything tasted healthy — not salty or artificial — and the added boost of veggies was a welcome addition to my diet. Where are Natsu products in the supermarket? In the refrigerated section. If you’re hungry, this 18-piece pack is worth it! It’s full of salmon, surimi, avocado and more and is just the slightest bit sweet (in a good way). YUM! All you have to do is add hot water to the soups and voilà, a delicious lunch option if you’re stuck at your desk or just want something already prepared for you. The pho was excellent, not too salty and I’d definitely buy it again. The bulgur oriental lunch pot was absolutely excellent as well. The herbes de Provence were on point and added a nice kick to the overall flavor. The right spices are so important when you’re eating chickpeas and bulgur. 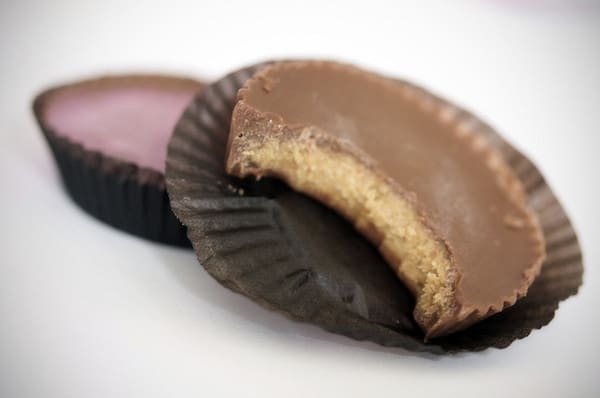 because without them, they don’t have much of a taste. But mixed with feta, eggplant, tomato, mushrooms and aforementioned spices? Yum. Eating healthy is not a chore when done right! I’ve never seen lunch bowls like this on the French market. Just pop it in the microwave and a tasty lunch awaits. 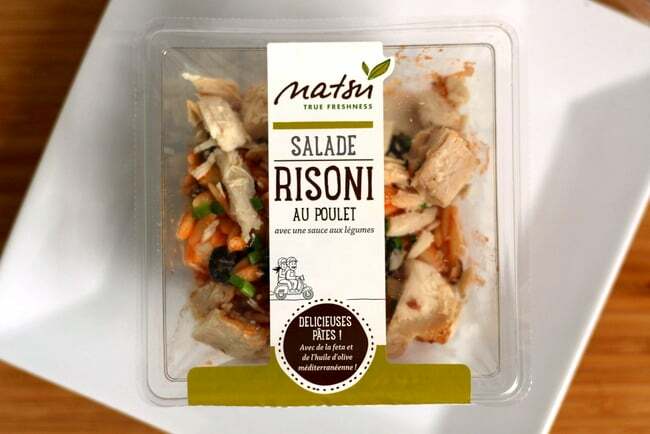 I picked up the Risoni Chicken salad that has grilled chicken, risoni pasta, olives, tomato and spices. The flavors meshed well together and it was actually quite filling. The edamame salad was also really tasty! Again, the best part is that nothing is too salty and you feel good about eating healthy, fresh ingredients. What drew me to Natsu? First, the sushi. The packaging specifically. It was a brand I’d never seen before in my local stores so I took notice. Then bought it. Then realized they had a whole product line and bought some more. But more than that, the ingredients and the selection both attracted me to Natsu. The variety reminded me of being home in NYC. In big French cities, you can find a variety of “healthy” foods and specialty items, some of which are at the regular old grocery store. But in the French suburbs away from big cities? 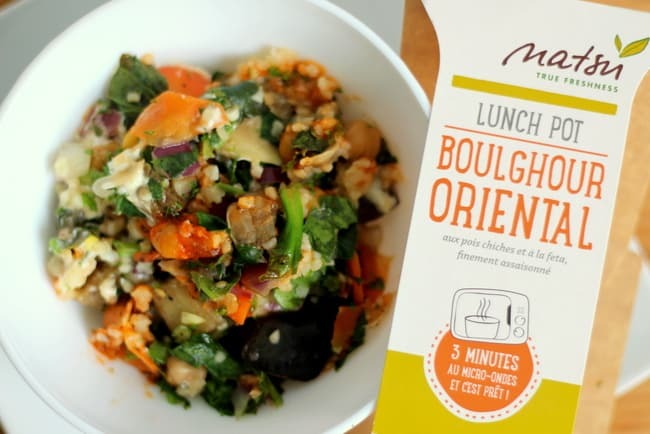 Good luck finding a ready-to-eat bulgur salad or a quinoa and edamame veggie blend. Or a fresh bowl of pho. 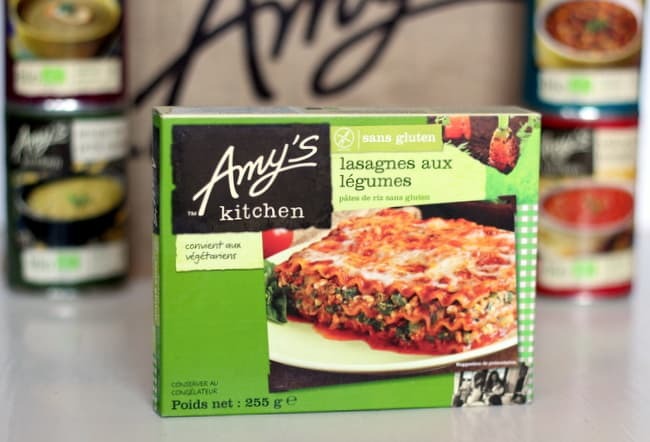 You can find shredded carrots and celery salads with mayo as well as regular lettuce salads and traditional French options, but stuff you’d find in Whole Foods back home? Full of fiber and protein? Not the norm. And sure, I get it. It’s France and some of you may say just make do with what’s there. Trust me, I have. But variety is a fantastic thing and having other options can only impact the market positively. 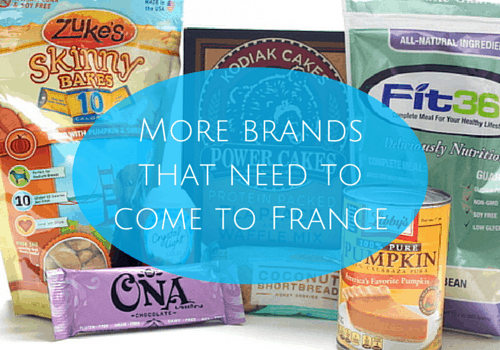 A refreshing addition to the French market and a brand I can’t get enough of lately. The Natsu sushi and bowls are my favorite. Two thumbs way up! Check ’em out on the web here. 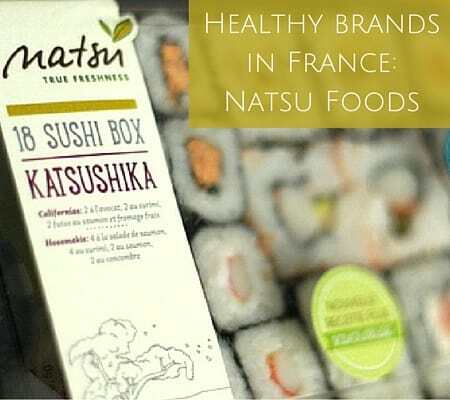 Have you seen Natsu Foods in your area? Would you try anything from the brand? Thanks for pointing this out. I probably wouldn’t have even bothered to look. And there’s a Super U here! You’re very welcome. I hope you can find the products near you. Yummy stuff! I know you said it’s not your personal favorite, but is it popular in Australia?